I was really interested in trying these bad boys out; I heard they were made for people that really liked wearing their z/1 z/2 Chaco sandals as much as possible. The foot bed is pretty much the same as the sandals. It has the LUVSEAT™ platform in the boot to allow for easy breaking in, so it is ready for instant adventuring. When I first put these bad boys on I noticed the high arch support, which is what I love about Chaco. Another thing I noticed was they were a little narrow for my feet, but soon after wearing them for a few days that was anything to worry about as the stretched out. The style of these boots is very interesting. It is a simple retro design, which is kind of a change for me. I am used to wearing the new crazy modern designs, but it is kind of nice to have this fun change. These boots are designed to be just casually worn nothing to do anything to crazy in, I totally agree. There isn’t too much support in the ankle, it loose at the top, which is great for a casual boot. 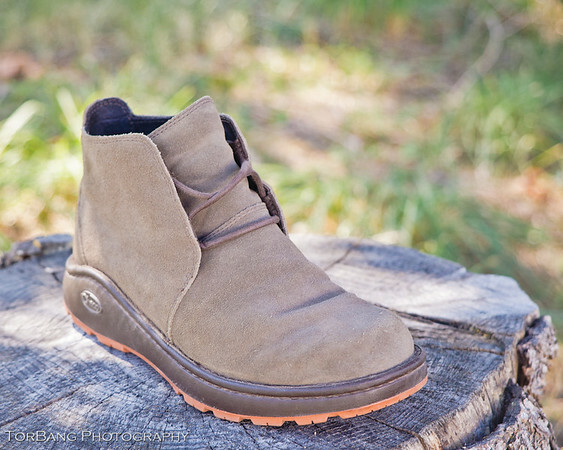 So far I have really enjoyed these boots, and as I wear them more I will be ready to write a more in-depth review.